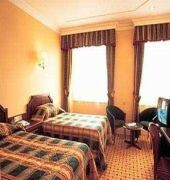 This graceful grade 11 listed Georgian hotel has 390 bedrooms including park view and deluxe rooms. All bedrooms have Thistle Connect high speed internet access. 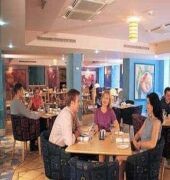 Thistle Lancaster Gate has a restaurant and coffee shop which serve drinks, light refreshments and meals. The hotel has Just Gym work out facilities. Car parking is available nearby at an additional charge. Thistle Lancaster Gate has seven meeting rooms, the largest of which seats 115 theatre style. Thistle Connect is available in meeting rooms offering high speed internet access. The Thistle Lancaster Gate is a Tourist hotel. Located in City Centre - Lancaster Gate area. Shopping is accessible by bus/taxi and the nightlife/restaurants are easily accessible by taxi or bus from the hotel. Descriptionclass="small" style="text-align: justify; font-size:11px;">This graceful grade 11 listed Georgian hotel has 390 bedrooms including park view and deluxe rooms. All bedrooms have Thistle Connect high speed internet access. Thistle Lancaster Gate has a restaurant and coffee shop which serve drinks, light refreshments and meals. The hotel has Just Gym work out facilities. Car parking is available nearby at an additional charge. Thistle Lancaster Gate has seven meeting rooms, the largest of which seats 115 theatre style. Thistle Connect is available in meeting rooms offering high speed internet access.